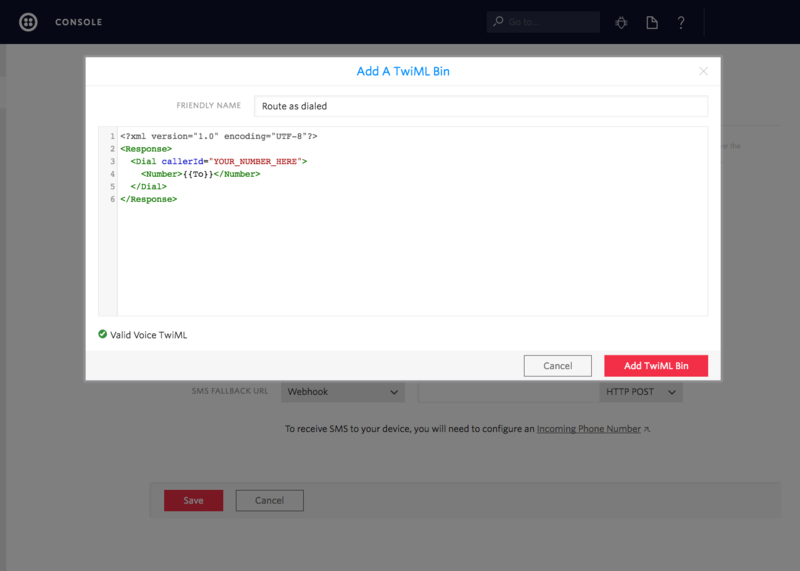 With Twilio Programmable Wireless you can deploy and manage fleets of cellular connected devices, power connectivity for the Internet of Things and enable highly customized communications use cases. 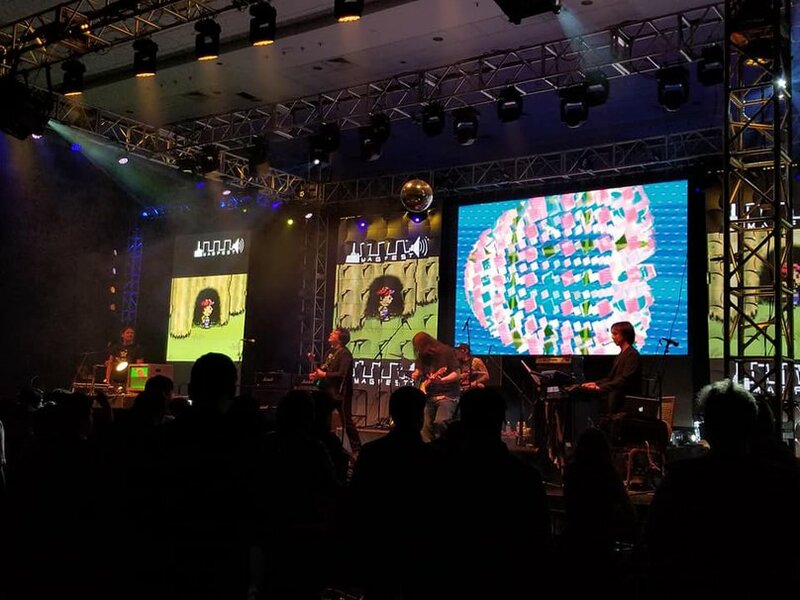 A couple of weekends ago, I attended the MAGFest video game music festival and had a blast! My friend Mikhail from Russia visited because his band Marshall Art was playing the festival (hint: they ruled). When he got to the states I let him use the Twilio Programmable Wireless SIM card that I was hacking around with because I had already configured it for voice and SMS. Programmable Wireless isn’t meant to be used as replacement to your cell phone provider, but it was a fun way to help out a friend with a small amount of code and a great first step for future projects. Before moving on, you need to have a Twilio Programmable Wireless SIM card to use for this tutorial. If you do not already have one registered with your account, you can follow this guide on how to order and register your first SIM. This is required before moving on. Make sure you select a Rate Plan that has Voice and Messaging enabled. So you have a Twilio Programmable Wireless SIM card that’s registered. That’s great! 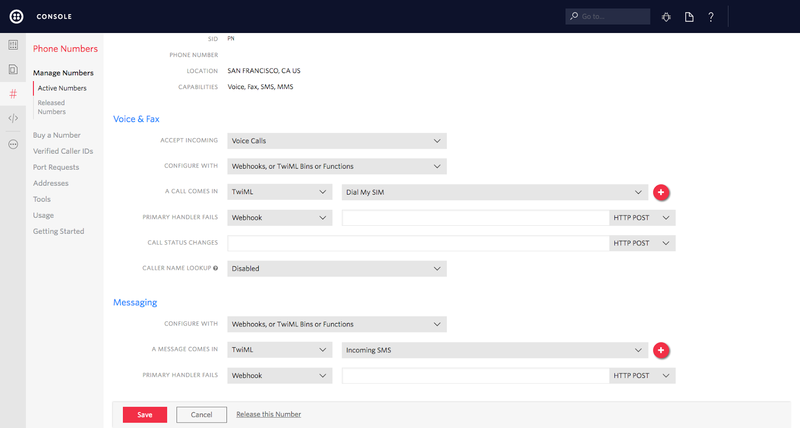 Before being able to configure your SIM, you’ll need a Twilio phone number to link it up to. You can buy a phone number here. Now you can send SMS messages and make phone calls! To begin, open the TwiML section of the Console and enter a name in the Friendly Name input field. Enter the SIM Sid in place of YOUR_SIM_SID_HERE and click Save. Next you need to associate these TwiML bins with your Twilio phone number. Open the Phone Numbers section of the Console and select the number you used earlier. 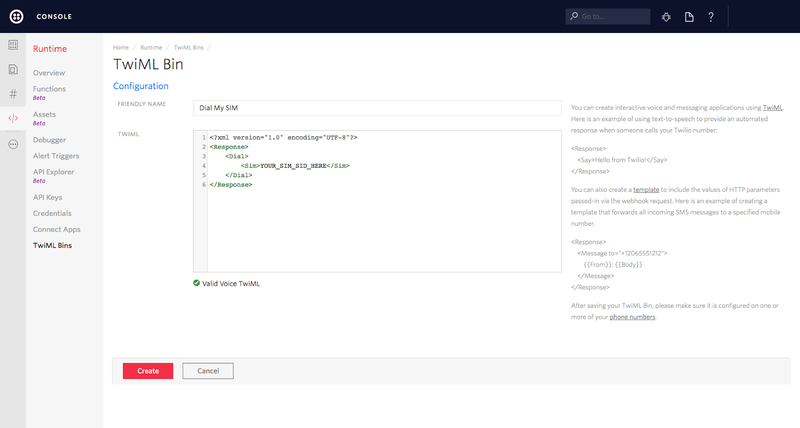 You should now be able to send and receive text messages and make and receive phone calls from your Twilio phone number! Now that you know how to send and receive SMS messages and phone calls on your Twilio SIM, you can use it for all kinds of IoT projects. Looking for inspiration? 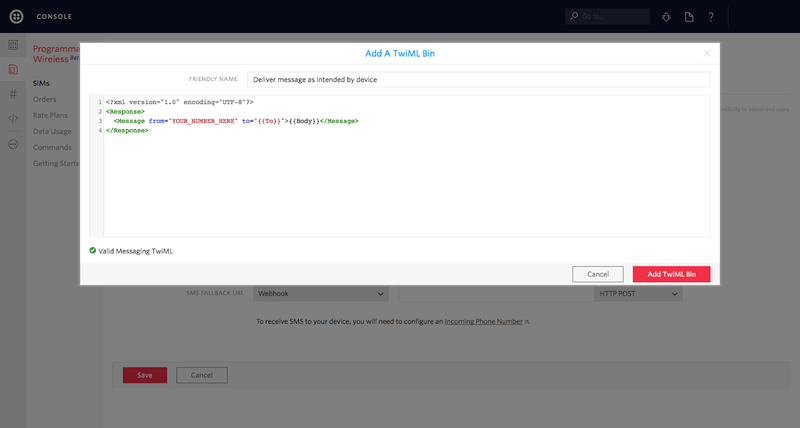 Check out Wireless Blueprints and follow our guide on sending machine-to-machine SMS commands. Feel free to reach out if you have any questions or comments or just want to show off the cool stuff you’ve built.